There are currently 88,736 users on this website. 2019 P LSC Are All The 9's This Thick? 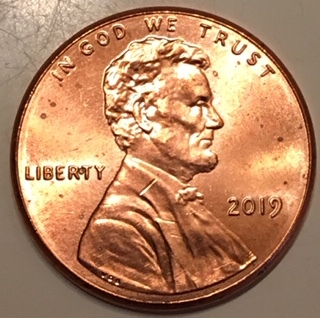 This is the second 2019 P LSC I have seen and because they are so new I am wondering, are all the 9's this thick on the date? I know they can be thick on the 2009's. 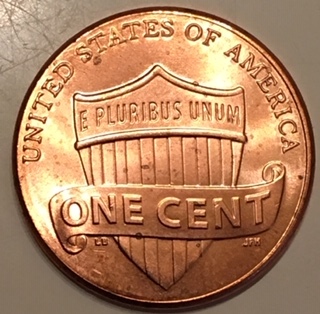 I've noticed that on cents from the last few years, mainly 2017 Through 2019. My theory is that since the last digit is closest to the edge it is subject to more die wear/deterioration. So to answer your question, yes the 9 is normal compared to the ones I've seen in hand. I have recently started seeing 2019. And have noticed that the 9s are thick. Thanks guys! I knew that is wasn't Doubled, but looks odd next to the first three digits. Jim, they all look like that. Not sure if that's the one I sent you but out of all the rolls I bought they were all very large, & didn't look right. Some even looked larger than that I think due to being smushed together getting machine rolled causing some flattening.